Leicester manager Brendan Rodgers has admitted he will need to strengthen his squad in the summer if they are to challenge for a spot in the Premier League's top six. 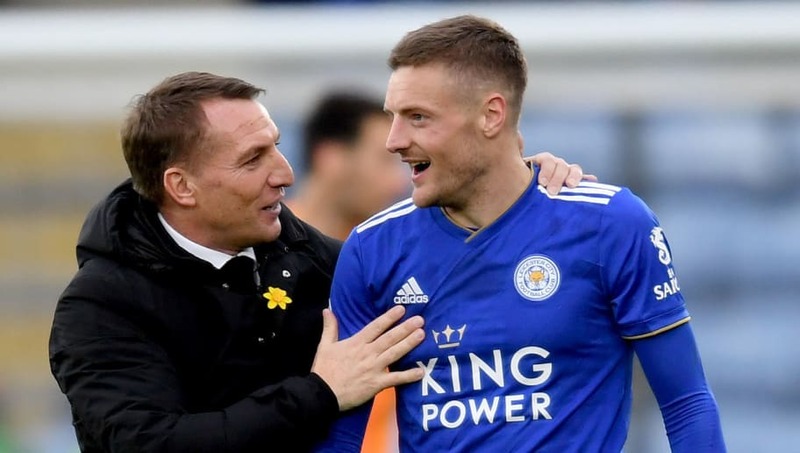 Rodgers has revitalised striker Jamie Vardy, who is now flourishing under the new managerial regime with six goals in five league games. But Rodgers has insisted the Foxes must not rely on the former England forwaees and add more depth to challenge his players. He said, as quoted by ​​Leicestershire Live​: “First of all the perception was only based around not having seen them close up. "For example, ​Vardy, he is a really intelligent footballer to play at the level he does the way he does. Some strikers of lesser quality I say they switch the engine off. If the ball is in and around them they are okay but when it isn’t they switch the engine off. “What does that mean for the summer? It means we have a really good core but we need to strengthen." ​Kelechi Iheanacho provides a similar game to Vardy, in the manner of his runs behind a defence, his pace, and directness, and Rodgers has revealed the Nigeria international has been unlucky not to start due to his role as an understudy behind Vardy. He added: “We can’t rely on one. We have a very good young one in Kelechi, and he is adapting well to how we have been working and training, and he is brilliant. He is unfortunate he has not been getting the games because of Jamie but he respects his role. “He is normally fit and available, and when he is playing he is one of the best out there, but we always have to look for players to support the squad. It isn’t about young or old players, it is just good players. The drop off can’t be so big."